A long standing feature of the Timestone Software Internet Ordering System (IOS) is the ability to offer digital products to online customers. These products need not only be the subject image but in fact may be any product such as composites, memory mates, calendars and bookmarks. It is imperative the reader be familiar with digital products. To this end the following document should be consulted before continuing. Prior to Version 4.6 of NeoPack only IOS orders downloaded to Fulfill could be handled as digital orders. With Version 4.6 support was added to handle online orders downloaded into Orders Mode (pre-orders) as well as Paper Orders (orders entered by barcode, text file or keyboard). Digital products handled in NeoPack are defined in the same manner as those offered in IOS and processed with Fulfill. They are described in this document. IOS pre-orders are orders from IOS that are downloaded into Orders Mode. Prior to Version 4.6 it was not possible to handle digital IOS pre-orders. In fact the user was prevented even uploading a job with digital products if the orders were to be downloaded as pre-orders rather than processed in Fulfill. 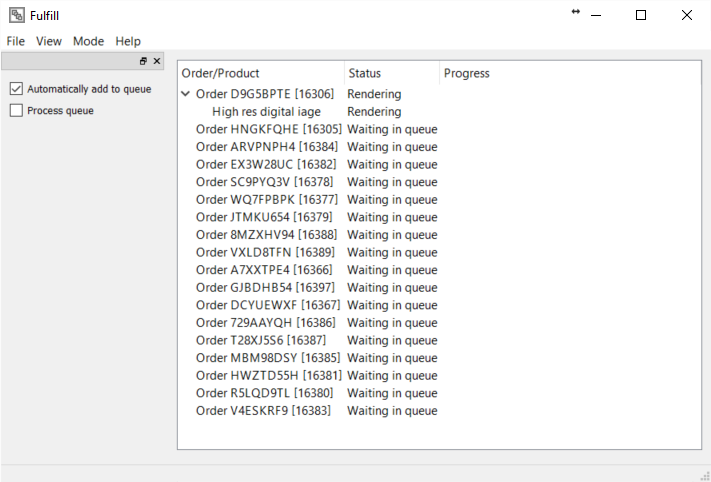 With the advent of Version 4.6, these orders can be now processed in NeoPack. The customer receives an email with links to download their digital products. For digital products originating from an IOS pre-order, the IOS customer receives an email once the products are 'printed' in NeoPack. Since paper orders are subject specific (as opposed to online orders which belong to a customer) it is the subject who receives an email with links to download their digital products. It is therefore necessary for the subject to have an email address entered into a global email subject field. 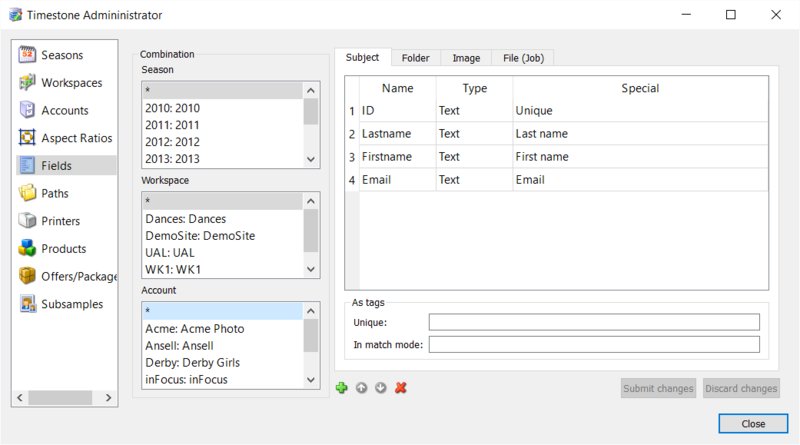 For digital products originating from paper orders the subject receives an email at the address entered into the subject's email field once the products are 'printed' in NeoPack. Composites (from NeoComposite and CompositeBuilder) and named groups (from NeoGroup and GroupBuilder) may also be offered as digital products in IOS pre-orders and paper orders however these products must be handled through NeoPack. It is not possible to upload these products from within NeoComposite and NeoGroup. A filter in Queue Mode allows the digital products in the queue to be isolated and hence 'printed' as a batch. Upon 'printing' the digital products they are sent to the Timestone Software Fulfill application for processing and uploading. Digital products are processed via the Timestone Software Fulfill application. Users of the Timestone Software Internet Ordering System (IOS) use their normal connection and login credentials when launching Fulfill. Users without IOS will be given connection and log-in credentials specific to their location.